Established in West London in 2008 by professional printer Pawel Starzak. Moved to Bristol in Sept. 2017. CE Print is constantly growing and providing its customers with an ever-wider range of printing services and products. We take pride in the fact that the great majority of our customers return to us again and again for our printing services. Why choose CE Print for your printing jobs? 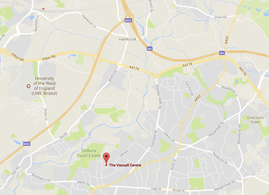 If you live or work in Bristol, just drop by our friendly premises for a chat and we'll be happy to show you how we can help. Not in Bristol? No problem – we use a nationwide delivery service to ensure your order gets to you within 24 hours. 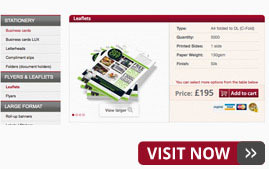 In January 2015 we launched our Online Printing Shop, allowing customers from all over the UK, as well as internationally, to order the print products they need in just a few simple steps. It's easy to use and very efficient – and if you need any assistance in the process, just call us! Gradually, we will upgrade our online printing shop by adding more products. We always value feedback from our customers, and we'd love to hear what you like about the online service and how you think we can improve it. We want to keep improving the way we deliver optimal print products to our customers, and we believe the best way to achieve this is by building up a good working relationship with them. Your feedback is important to us! Please let us know how we can improve our online printing shop. With our expertise and experience, we always ensure that you get a finished print product that meets your needs and expectations. Our goal at CE Print is to help individuals and businesses present themselves in the best possible way. Whether it's the first impression made by your business card, or polishing your professional image through your letterhead or company brochure, or presenting your thesis in the clearest format, the quality of your print job matters for your success. We are always happy to hear that through our hard work we have helped our customers achieve their goals!